Electricity is a necessity of modern times. Almost everything that we own needs electricity to function properly. Electricity has brought convenience for us but at the same time, energy crisis is a looming issue. Most of us have seen the potato-powered clock in our school days, but researchers have found reason to believe that the humble potato can be used to power a lot more than just a clock. 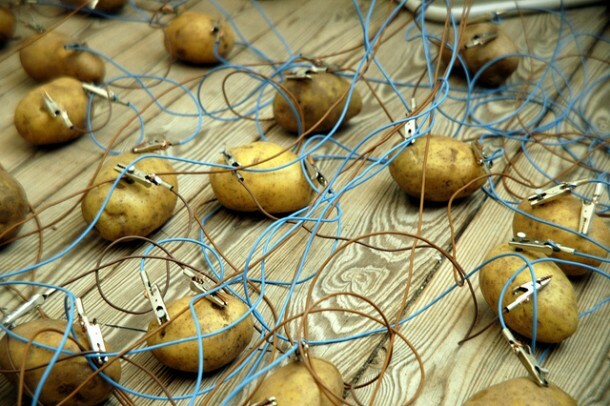 The potato, according to the researchers, can be used as a power source for remote areas that do not have access to electrical grids like most of the cities around the world. A quarter of a potato boiled for eight minutes can be used to power LED lights, mobile phone and other electronics. The potato battery kit includes a wired copper cathode and zinc anode. “Why potatoes?”, you may ask. Potatoes are common across the globe, they are the fourth most abundant food crop on the planet. 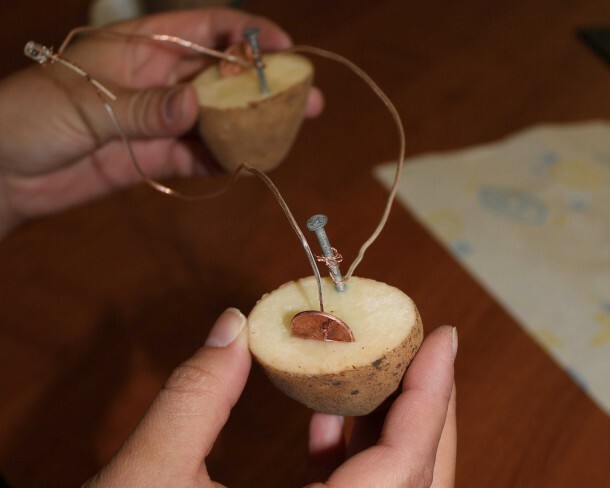 The potato does not actually act as a power source but rather as a salt bridge, providing electron current to flow between the two metal poles, conducting electricity. This research could pave way to other new and unconventional sources of electricity. There’s no telling if our food would be used to power our homes as well in the near future.